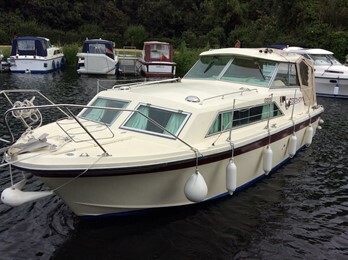 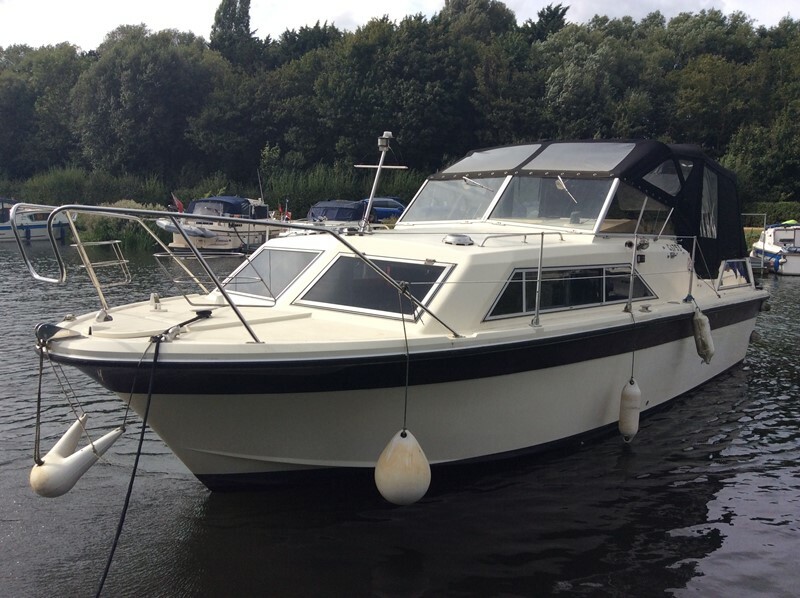 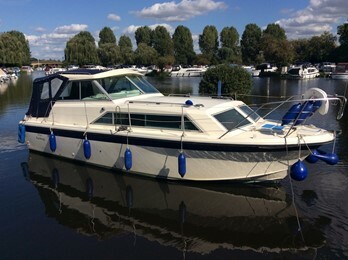 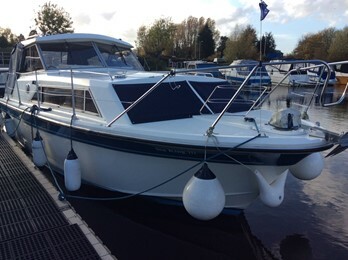 Fairline Mirage Aft Cabin Boat for Sale, "Freya"
This Fairline Mirage Aft Cabin is a well presented example which benfits from new canopy and upholstery and folding window screens. 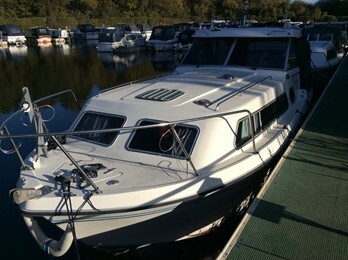 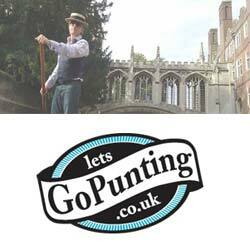 £8k has been spent refurbishing the interior in the last 3 years. 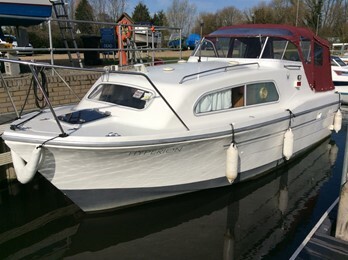 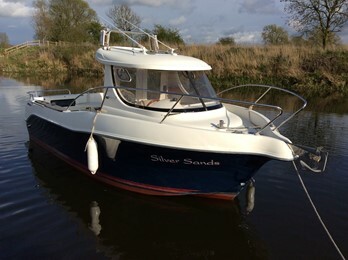 Extras: Shore power, new upholstery, new canopy, new toughened glass windows in all cabins, new headlinings and wall linings, engine service, antifouling and anodes and battery charger.